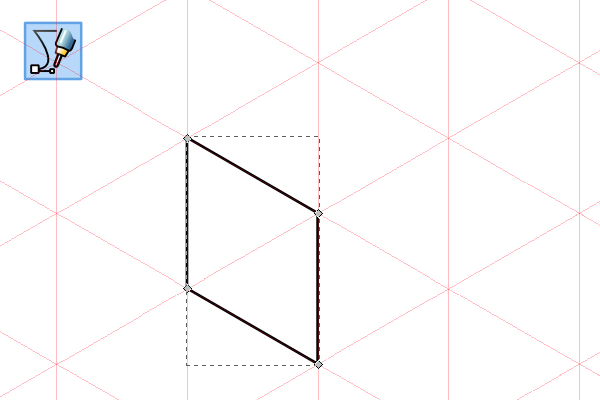 So there’s this really neat feature in Inkscape called axonometric grids. 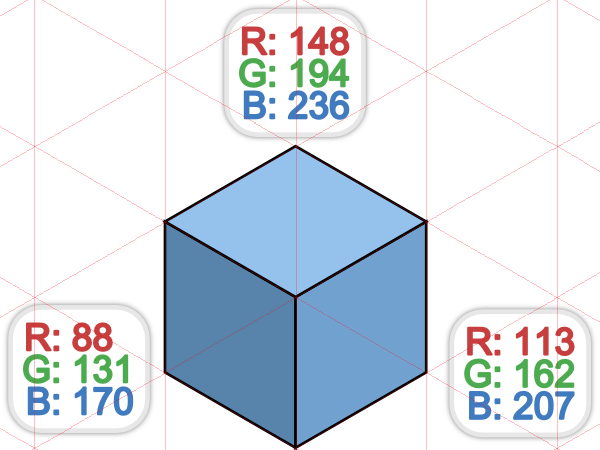 It’s pretty much a fancier grid that makes isometric projection a lot easier in Inkscape, so that’s what we’re going to do. 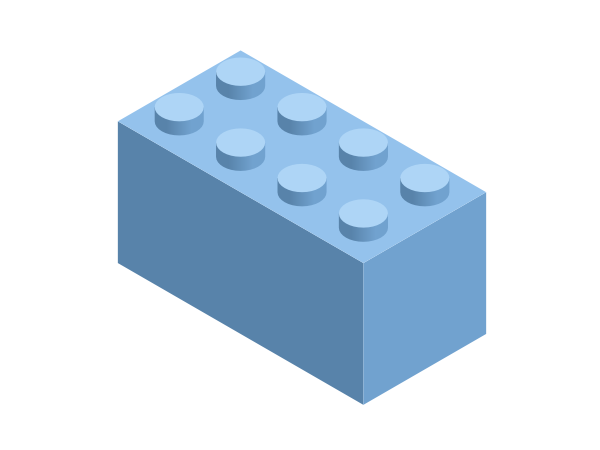 We’re going to draw some simple building bricks and then compile a scene with them. 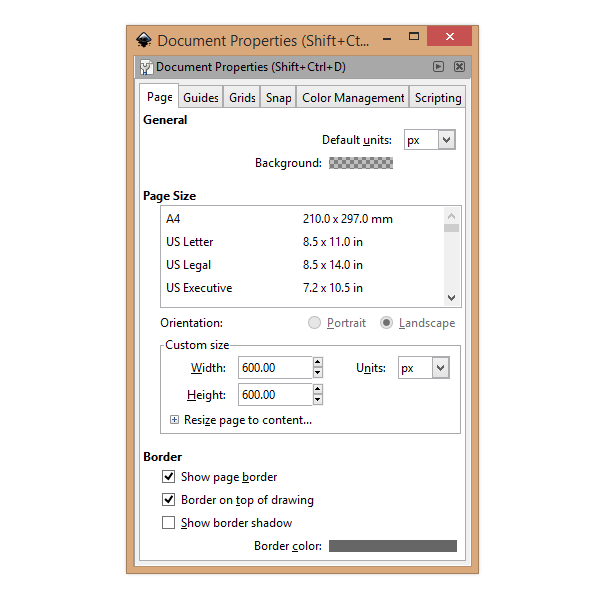 Head up to File > Document Properties and let’s set a 600px by 600px page. 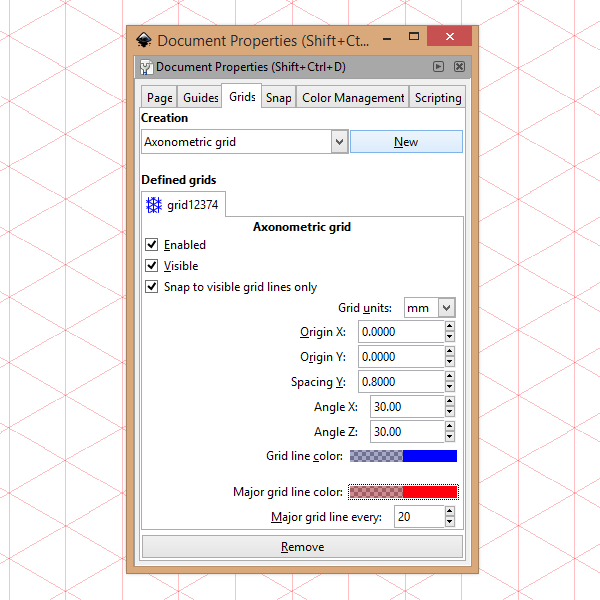 Then click the Grids tab, select Axonometric grid, and click New. You’ll get a new grid with a bunch of settings – just set those how I have them below. 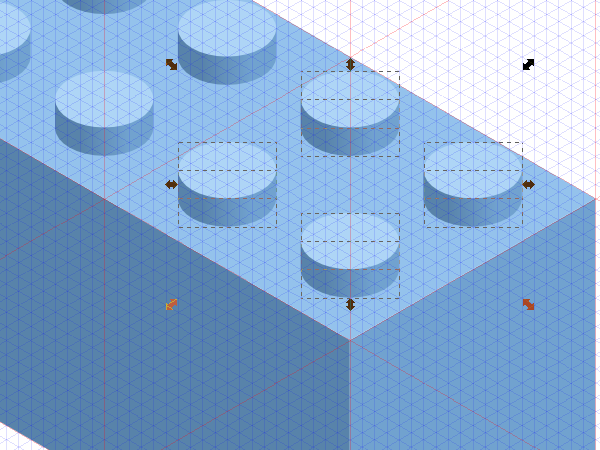 I adjusted the Spacing Y a bit and the Major grid lines to make the bricks look just right. Enabling snapping will make this a lot easier. Go ahead and enable the options shown below. 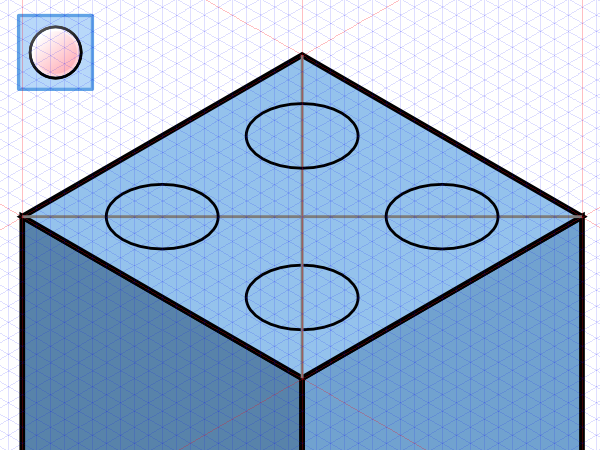 Let’s grab that Pen tool and, with snapping of course, lets draw the left side of the block. Any stroke will be fine, we just need to be able to see it for now. Keep drawing all of the sides individually so we can style them properly later. Then let’s give this block some color. Open up Fill and Stroke and set the fill to whatever you’d like, or you can use the colors I have below. 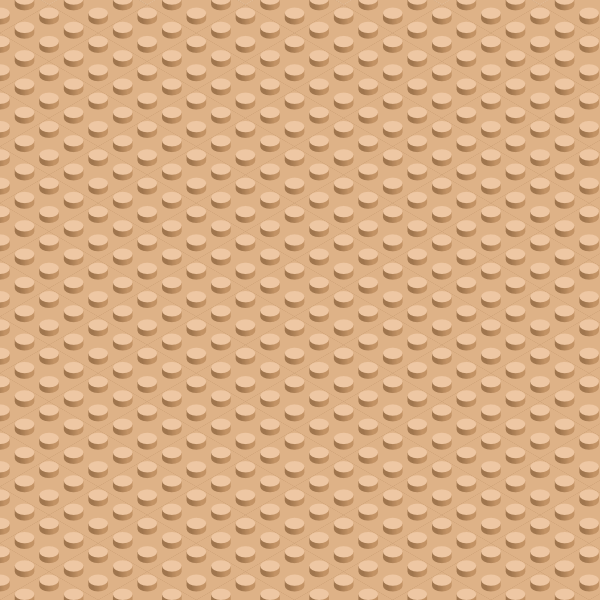 Now let’s zoom in a bit to bring the smaller, more detailed grid lines up. 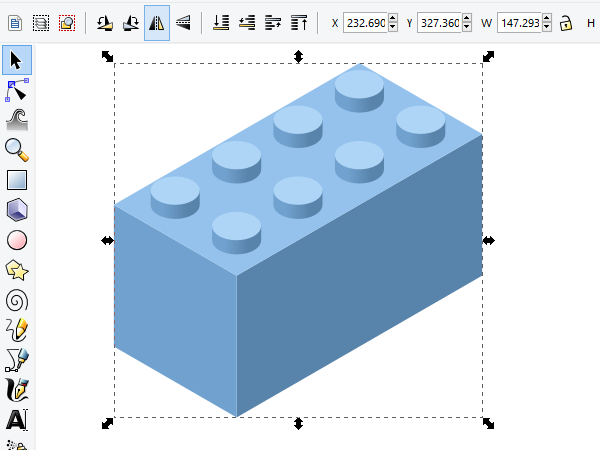 Grab the Ellipse tool and outline the round connectors on the top of the block. These are just for the base of them, but don’t worry, we’ll get to the rest in a bit. Positioning these is a little hard to explain, so you should certainly refer to the below image. You’ll notice I drew a couple lines on the top just to make sure everything was straight and aligned. 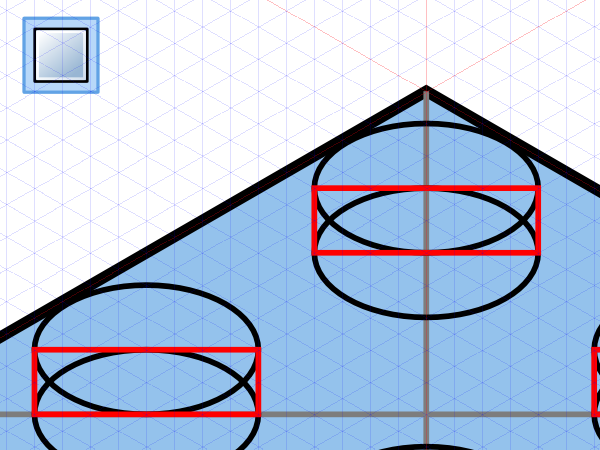 For the top part of the connectors, draw (or copy) the same ellipses at half radius of the originals. 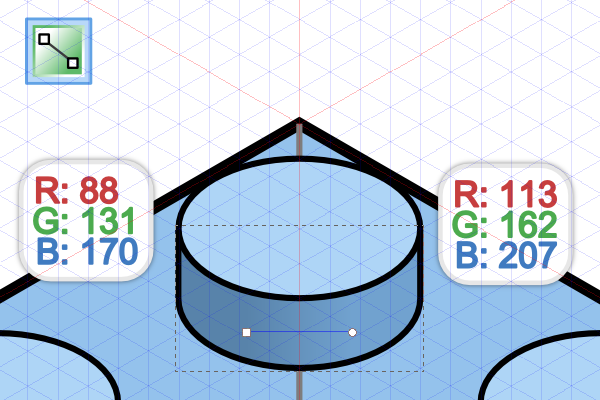 Then grab the Rectangle tool and draw a rectangle to pair the ellipses you just drew. 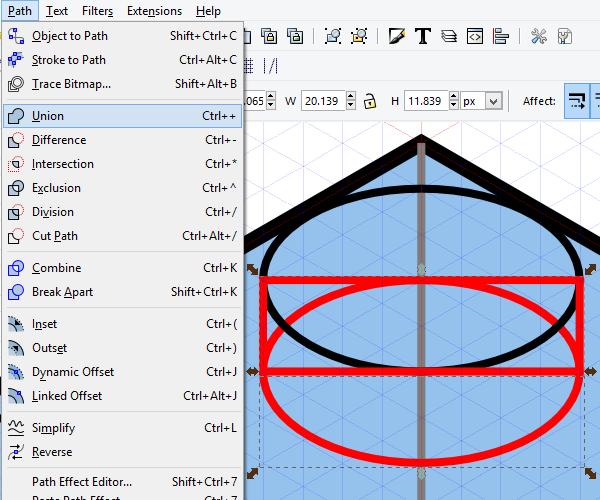 Select the bottom ellipse and the rectangle (outlined in red for your convenience) and head up to Path > Union to create a single shape. And of course, do this for all of them. Or you can do it to just one and copy them – totally up to you. Either way, you should have something that looks like this. 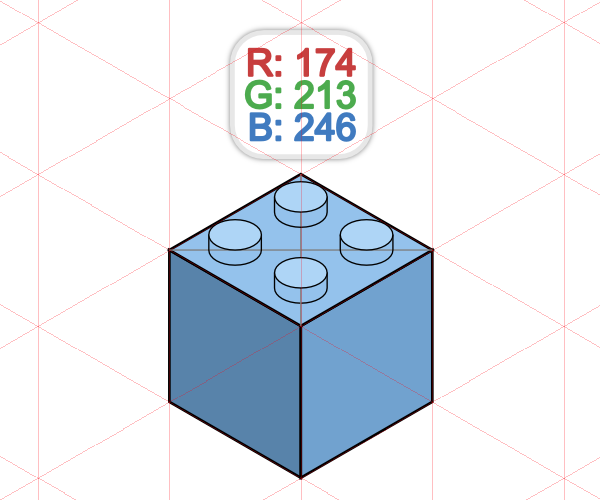 Add a fill to the top of the connectors, then you’ll be able to properly adjust the depth using Object > Raise/Lower (or the Page Up/Page Down keys). The sides of the connectors should be a gradient, so go ahead and set the Fill to a linear gradient with the colors below. After all of the connectors have the styling, go ahead and remove all of the strokes. 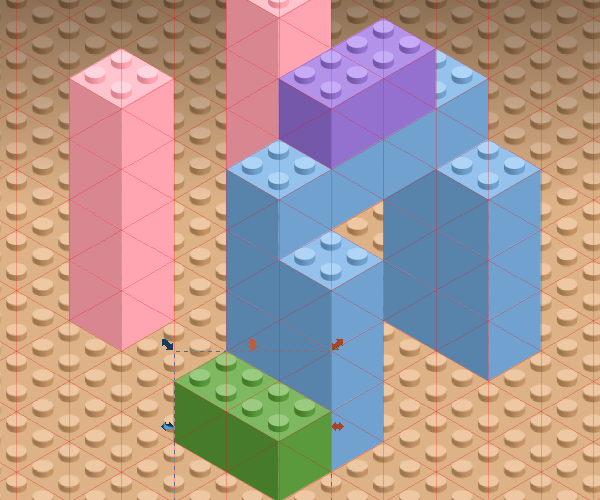 The finished building block should look something like this. Just one block would be boring, so lets create another one. First, move the right side of the block over another block’s length. 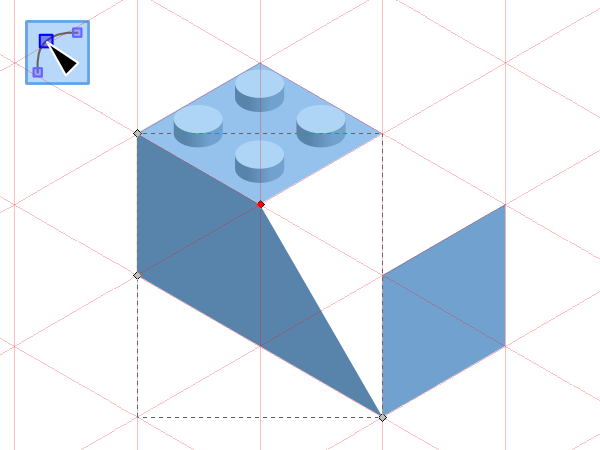 Then with the Nodes tool, grab the edge nodes of the left side to stretch them out to the correct length. Do the same for the top side as well. And of course, we need to double our connectors. Just copy and paste them and let snapping do the work. With all of that in place, this is what the finished long block should look like. Cool, huh? While we’re here, let’s group the entire block and flip it horizontally. Don’t forget to adjust the colors for consistent shading later on! 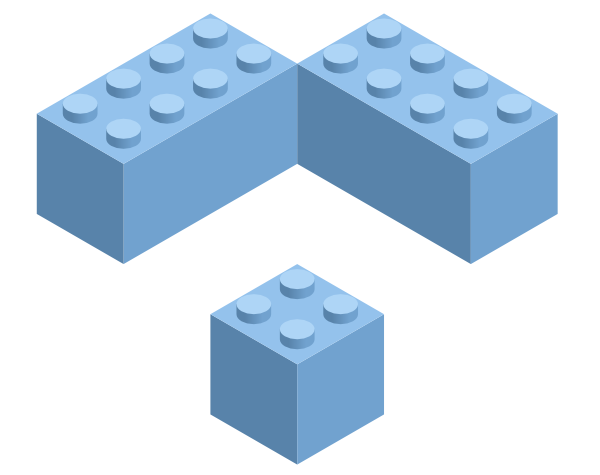 Here’s our three variations of building blocks. Grouping each of the blocks will make moving these around a lot easier. And to make even more of a variety, I went ahead and copied a bunch of them and alternated between Filters > Color > Invert Hue and Extensions > Color > More/Less Hue. 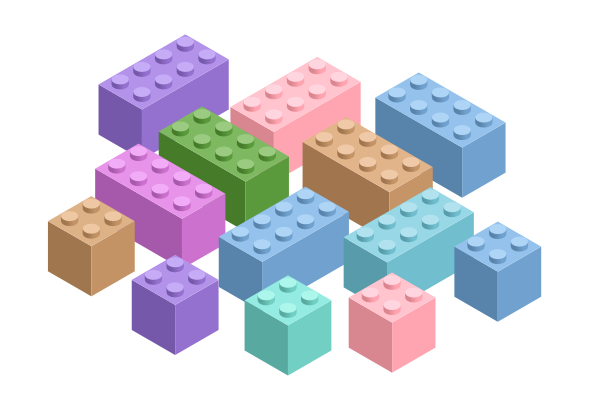 These are awesome ways to color entire objects without having to do it manually. 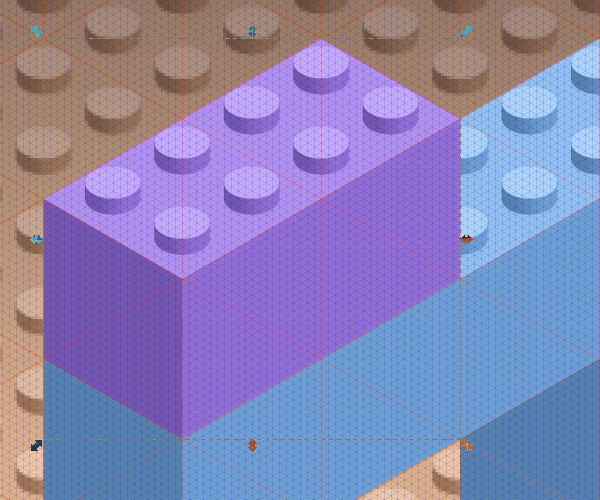 The first thing I did to start my scene was multiply about a hundred of a plain colored block. I figured this would be a cool foundation to build on. What I ended up doing was exporting this as a 600px by 600px bitmap straight from Inkscape. 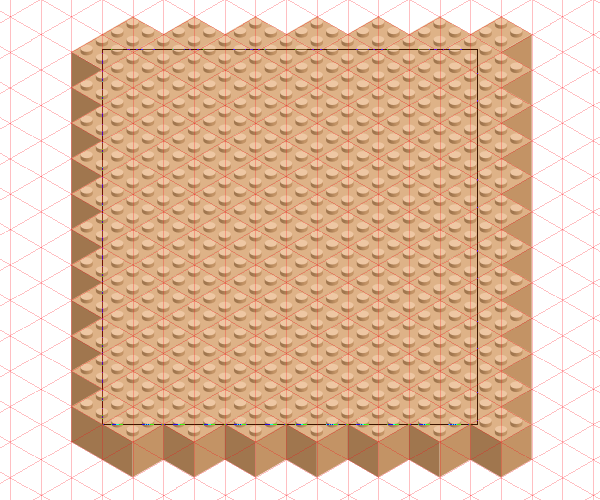 Having over a hundred of these little blocks was giving my computer quite a workout, so a bitmap will be much more efficient. 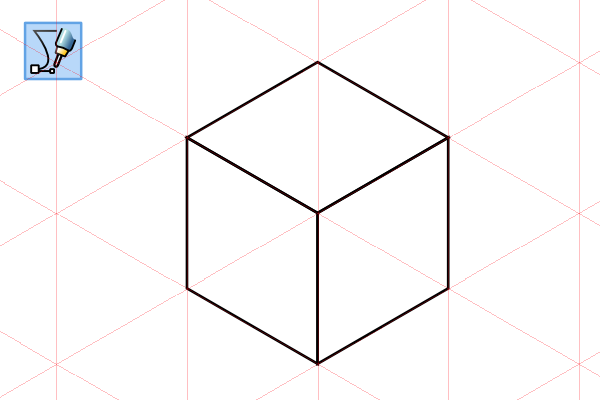 Of course, this is vector imaging, so this is sort of cheating… but you’re more than welcome to keep all of the blocks in a separate layer if you think your computer can handle it! Just start placing these building blocks! Zoom in if you want a more detailed grid to make sure everything is perfect. Just keep building whatever your heart desires. 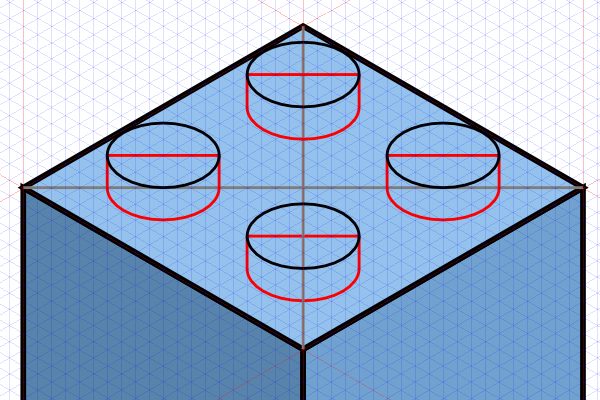 I have no clue what I’m doing below – maybe building some sort of tower? An overhang maybe? So, here’s my finished “masterpiece”. 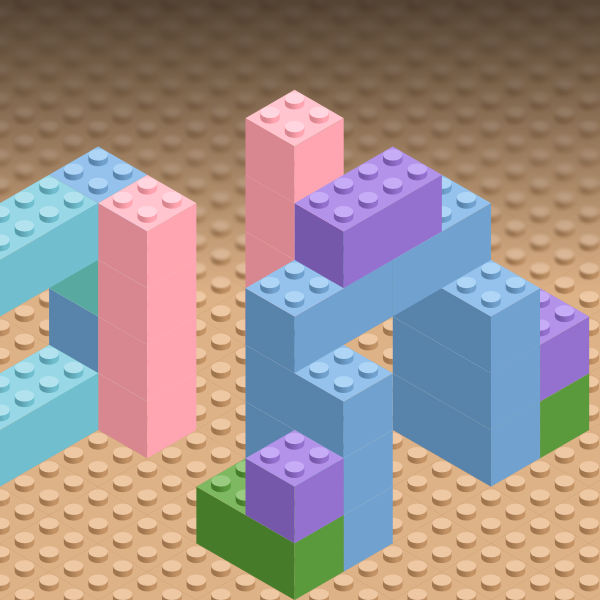 Okay, so it’s not a great building block design, but you get the point! I also went further into the background image by adding a darkening fadeout with some blur. If something like this suits your fancy, go ahead and just do some quick photo editing in your favorite software. 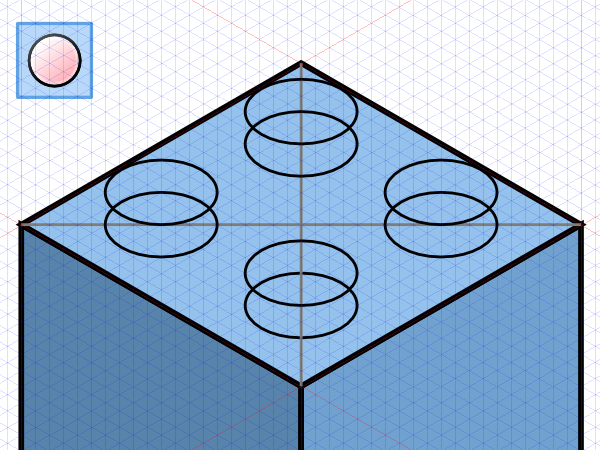 This was a really fun tutorial to do because I love isometric projection and, well, I also love LEGO bricks. There was a lot of neat stuff as far as tools and drawing methods go, so hopefully you learned a thing or two that you can use in your other designs. 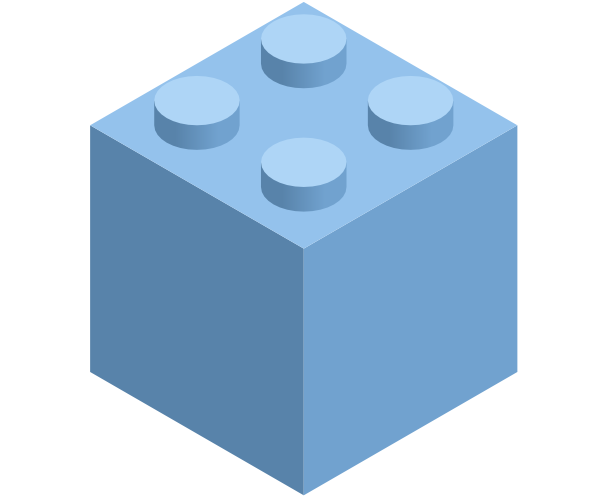 Either way, see what you can build with these bricks (I’d love to see some of your creations). Thanks for reading!